FINAL SALE - NO RETURNS OR EXCHANGES! 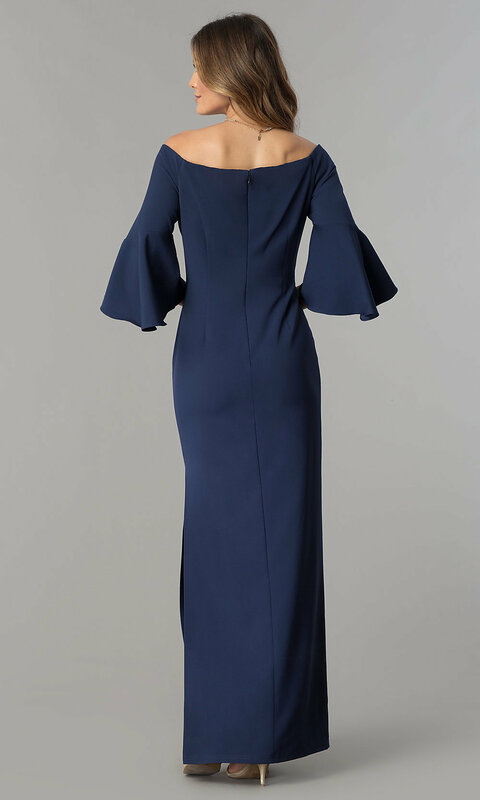 Navy blue long off-the-shoulder mother-of-the-bride formal dress with side slit and bell sleeves. 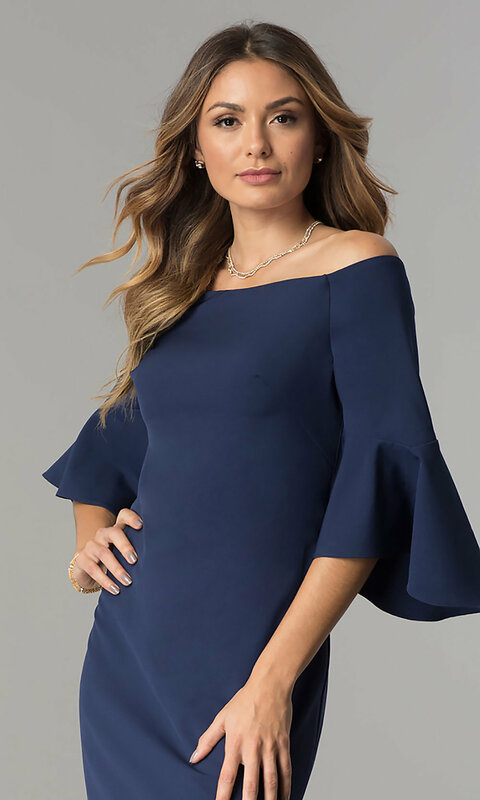 The model is 5'9" and wearing 2.5" heels. 58", Hollow to Hem 59"